Diving club for the south-west UK - let's make a splash! Glad you could drop in and share some air with us! You've passed your underwater navigation skills and successfully found your way to the start point - or in this case, our home page. 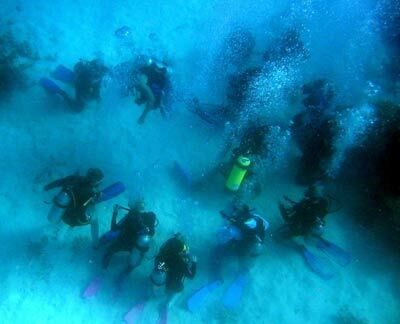 All details of the group's diving activities, trips and so on will be available from the various pages on this site but, in addition, we've got a Facebook page! If you're on Facebook, please do check it out. All of the updates we post on Facebook will also appear here in this little box here on the right (so, even if you're not a Facebook fan you can get to see our latest updates).